Baking Leonardo buns is an easy way of getting a message through to people without having to actually say anything. That can be very useful if you are a neutral organization like The Red Cross or Giraffs Without Borders. 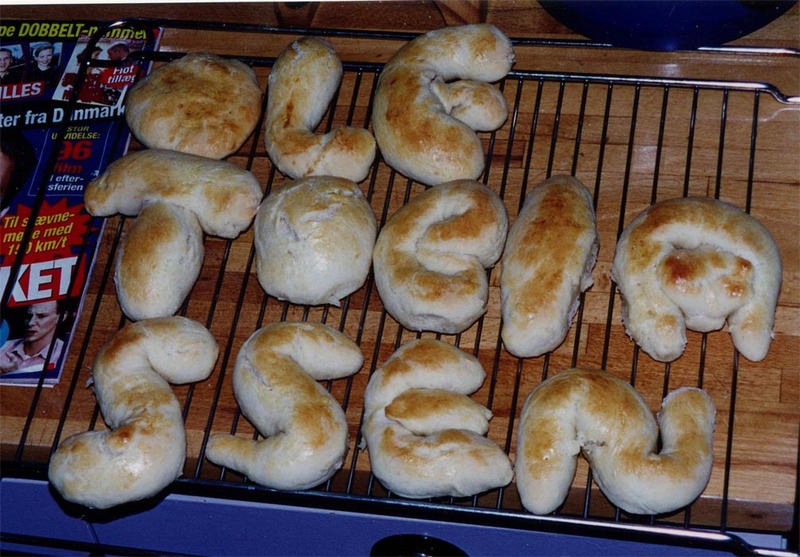 After 30 minutes the dough is shaped into letters. The first portion of Leonardo Buns spelled "Leonardo DiCaprio" (hence the name Leonardo buns). "Ebbe Sand rules" is another popular statement. Brush the buns with egg or milk and bake them in an oven 15-20 minutes at 200°C. You are more than welcome to take a picture of your Leonardo buns and send it to giraffswithoutborders@mail.dk if you want to share your message with other giraffe-enthusiasts.